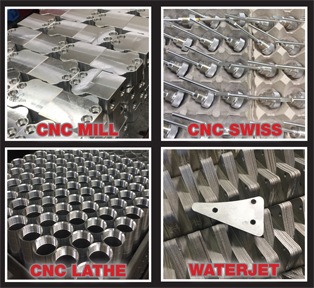 RM Garrison Machining produces precision CNC Machined and fabricated products to meet demanding customer specifications across the USA. We can help take your product idea from Concept to Conception. 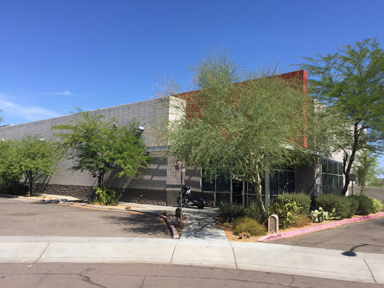 In 1973, RM Garrison Machining (formerly G & R Screw Machine) began their family owned business, providing precision machining and manufacturing services to the Phoenix Metro area. It has continued that service for the past 45 years. By tripling its building size in the last 4 years, RM Garrison is equipped to continue expanding services with the same level of consistent, high quality machining services that meet our customers’ expectations. See our Equipment page for details on current machines and manufacturing options. Check back regularly, as we intend to continue enhancing the line of products, and services we offer. RM Garrison Machining personnel have over 100 years combined experience in machining and manufacturing. Frequent training and consulting is done to add new services or enhance our current product manufacturing. The long term relationships RM Garrison has formed with plating, heat treating, sheet metal design and other outside processors, gives us the opportunity to provide a full turn-key solution for your products, with quick turn-around, by some of the most highly regarded vendors in the business. RM Garrison Machining is committed to continuing to provide high quality machining services to our clients. For detailed information on the types of products we are currently manufacturing, and the capabilities we have, please visit our Products page. Because the material you use for your product is as important as the company you select to make it, also view our Materials page to help you decide which material might best suit the product you are looking to produce. The RM Garrison team can also assist you with any additional questions you have, so don’t hesitate to call. The following is a list of the most common machining parts & services RM Garrison performs: specialty fasteners that include screws, nuts, bolts, couplings, rivets, manifolds, housings, brackets, bushings, valves, handles, knobs, and aftermarket billet automotive parts.